Wherever your household or commercial move takes you, you deserve the most reliable, professional moving services every step of the way. 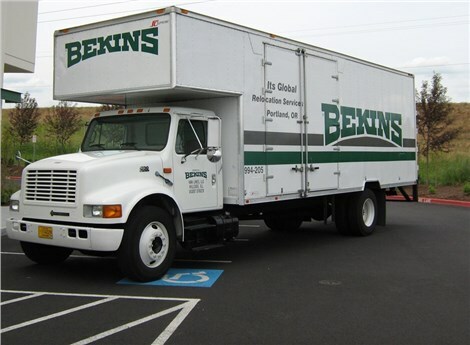 Count on Irvington Transfer & Storage (ITS) Global Relocation Services, agent of Bekins Van Lines to provide you with a completely custom, stress-free relocation. ITS Global has been in business since 1926, and our dedicated experts have moved thousands of families and businesses to destinations throughout Oregon and the world. We've become a BBB-accredited business, a member of the Oregon Moving and Storage Association, and a ProMover-accredited member of the American Moving & Storage Association (AMSA) for decades of quality service. Read on to learn more about the locations we serve! Portland: We've been the premier movers in Portland since 1926! 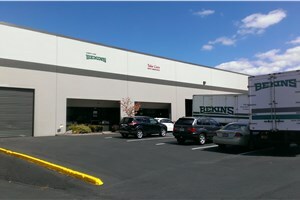 Beaverton: ITS Global can move families and businesses in Beaverton across town or around the world. Bethany Movers: Whether you're moving across town or across the country, enlisting the services of a trusted moving company can help ensure a hassle-free relocation. Camas: When you’re looking for reputable and reliable Camas movers, look no further than the professionals at ITS Global Relocation. Tigard: Our full-service moving options in Tigard will simplify your transition during this busy time. Lake Oswego: Our moving services in Lake Oswego are comprehensive and can be customized to your exact needs. Vancouver: Our Vancouver movers can relocate any size home, office, corporation or industrial warehouse with ease. Gresham: For nearly a century, ITS Global has been the premier transportation company of choice for residents of Gresham, OR and the surrounding areas. Fairview: If you’re looking for a moving company with experience, quality services and credentials you can trust, call ITS Global Relocation Services. Happy Valley: If you're in the market for residential, commercial, international or specialized moving and storage services, look no further than ITS Global Relocation Services. Keizer: Moving families in Portland, Vancouver, and all of the surrounding regions for 90+ years, ITS Global Relocation Services is here to provide the easiest household move you’ve ever had. Newberg: Anytime you relocate a business or home, you create a huge undertaking for your family and employees, so you should always leave all of your moving needs in the hands of a professional Newberg moving company. Ridgefield: Our commitment to our customers over the past 90 years has earned us designation as a ProMover and a BBB-accredited Ridgefield moving company. Tualatin: Since 1926, ITS Global Relocation has been the premiere Tualatin moving company. Sherwood: The professionals at ITS Global Relocation have been providing superior quality moving services and storage solutions to the residents and businesses of Sherwood for nearly a century. Hillsboro: For nearly a century, the professionals at ITS Global Relocation have been providing exceptional quality moving services to the residents and businesses of Hillsboro. Salem: Although there are numerous movers in Salem, OR who advertise their service and qualifications, one family-owned business has quietly led the industry for well over 90 years now. Salmon Creek: Moving is a process many look at with trepidation; between the packing and planning, it can be a stressful process. Wilsonville: Since 1926, the professionals at ITS Global Relocation have been providing high-quality moving services to the residences and businesses of Wilsonville. West Linn: No matter what your moving needs are, ITS Global Relocation is the superior West Linn moving company. Washougal, WA: ITS Global Relocation has been providing superior professional moving services since 1926, and our experience is evident in every project we take on. Damascus: Looking for reliable and reputable Damascus movers? Look no further than the professionals at ITS Global Relocation Services. Oregon City: Since 1926, ITS Global Relocation Services has been a trusted Oregon City moving company for both residential and commercial relocation services. Don't delay any longer, and contact ITS Global Relocation Services today with your requirements. A moving specialist is standing by to take your call, or you can fill out our online quote form to receive a no-obligation estimate now.